We’ve moved our site and redesigned it. More changes are likely on the way, but it was time for a site that was easy to update and a new look. Big news – we’re playing a show TOMORROW, July 20 from 6-9 pm. 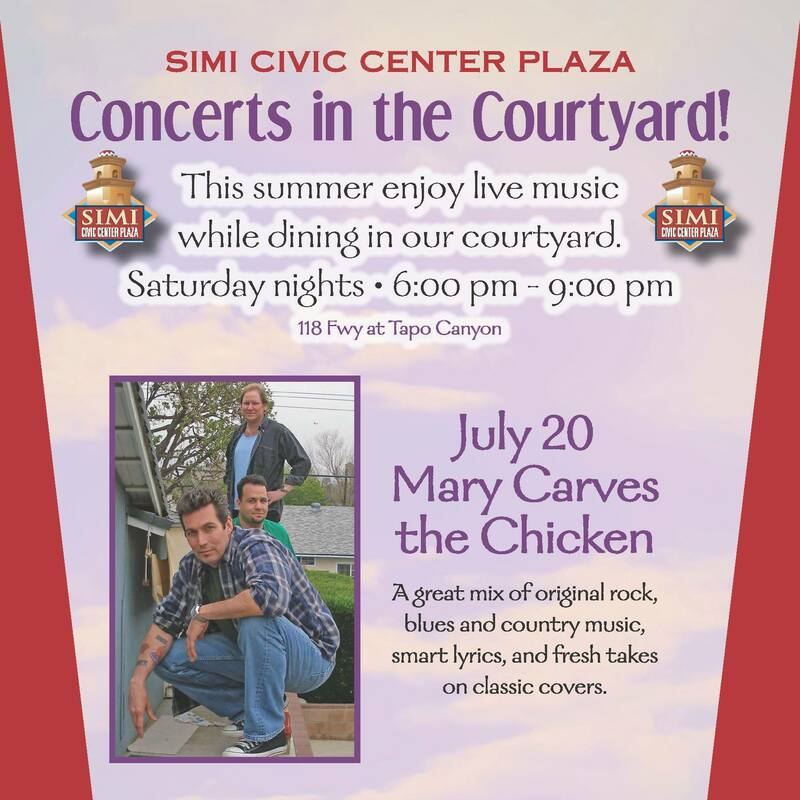 We’ll be at the Concerts in the Courtyard series at the Regal Center in Simi Valley. Super easy to get there. Take the 118 to Tapo Canyon, and there we’ll be!